I already had a couple of vintage pieces before I fell in love with the satchel of satchels, this absolute beauty from The Leather Satchel Co. 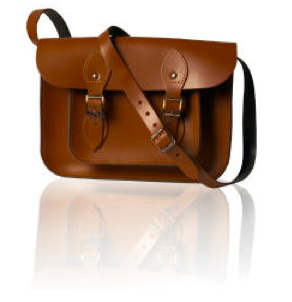 The Leather Satchel Co have been handcrafting satchels in the UK since 1966 but far from being behind the times that are bang on trend with their range. Each and every satchel is lovingly handcrafted and can be tailored to meet your exact requirements. Monogramming, long strap, short strap, magnetic closures, multi colours, deeper gusset, shoulder strap or custom sized (like mine) to fit your beloved macbook air! 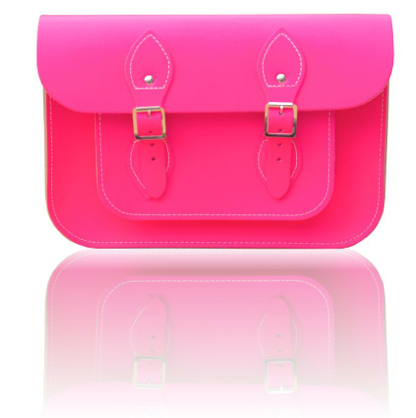 My neon pink delight has been in constant use since June and it is wearing in beautifully but if I did have a problem I'd have The Leather Satchel Co's amazingly generous 5 year craftsmanship guarantee to fall back on. 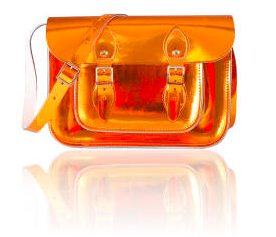 Because they are such lovely people - and because it's nearly Christmas, The Leather Satchel Co have offered me a custom made satchel to give away! Enter by following the instructions on the Rafflecopter widget below. You can bag additional entries in a few ways too.